Cummins Architecture - Love Where You Live! - What Are She Sheds? We’ve all heard of man caves. A specially designated room for the man/men of the house to have a place to watch sports, play video games, do work, and many other things. Recently, a new home improvement trend called She Sheds has started. What is a she shed? They are the female version of a man cave, a place for women to escape to. She sheds are typically just that, a shed placed somewhere in the backyard of a home. They can be the size of a standard shed or they can be bigger or smaller depending on what you want. The cost to build a she shed isn’t too expensive. Vinyl sheds run about $800-$5,000 and metal sheds run about $300-$2,000. The cost really depends on what you want in the shed and the size. 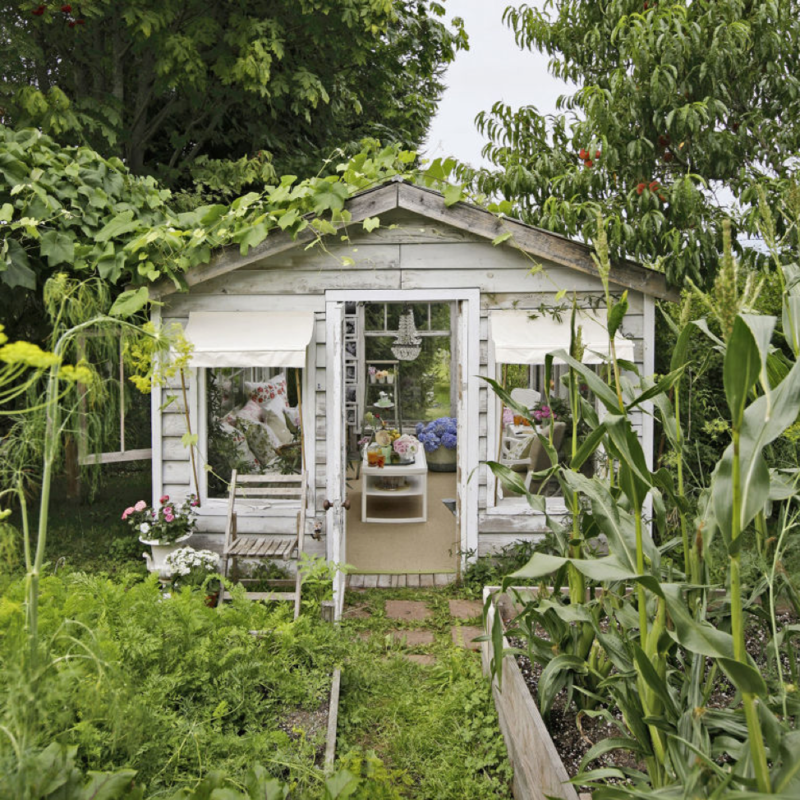 If you already have an old tool shed, greenhouse, or even an old playhouse you can convert them into a she shed and save even more money. The purpose of a she shed is the same as a man cave. A place to escape to and relax and think or a place to do work in peace and quiet. With that in mind, think of where you want to put your she shed. It could be hidden away in the garden, or in the open spaces of the backyard. Find what area that will work the best for you to relax or enjoy your hobbies. 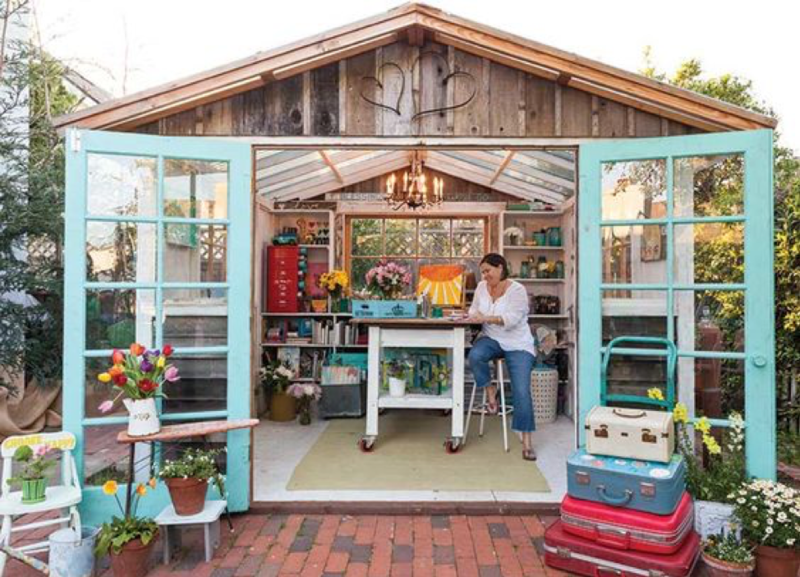 She sheds are completely customizable and can be used for anything. They’re great for home offices, meditation rooms, arts and crafts area, yoga rooms and much more. They can even be used as a place for baking! There are endless options. Be sure to have storage in your she shed for your arts and crafts and for blankets or anything else you may need. 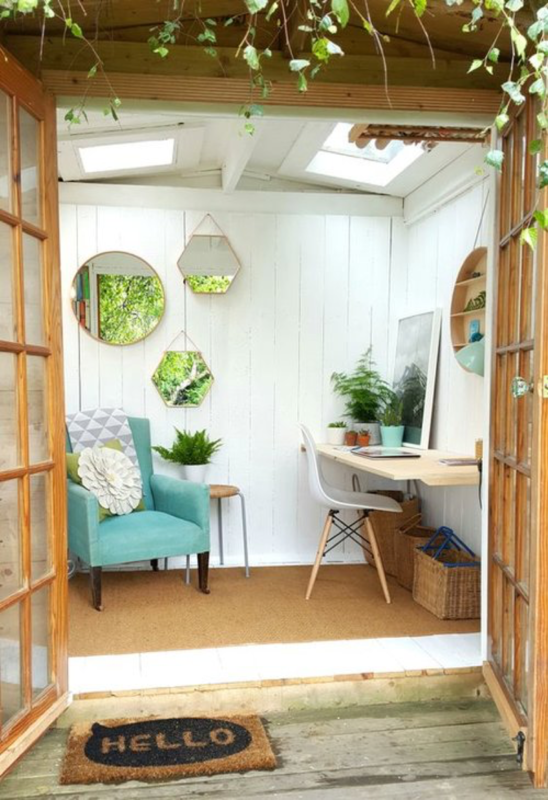 She sheds are a great space for women to escape to and relax. They’re a fun, low cost home improvement with a lot of options to make it your own. What type of space will you create?